Is Donald Trump's Net Worth USD 10 Billion or USD Billion? New York, April 4: How rich is Trump really? If the Democrats are successful in their campaign to unearth his tax filings, it may finally be known if his net worth is $10 billion as he has claimed or less than a third of that as estimated by others. 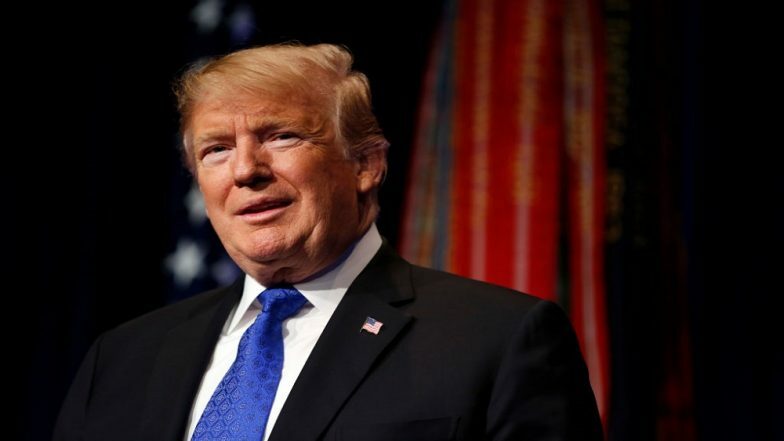 On Wednesday, House of Representatives Ways and Means Committee Chairman Richard Neal demanded that the Trump administration turn over the boastful billionaire's and his businesses' tax returns for the past six years. The legislators may be interested in examining the tax filings for irregularities and possible violations, but the public would be more keen to find out how rich the billionaire real estate developer really is and how much taxes he has paid - or avoided paying them or reduced them because of business losses or other deductions. While he is no doubt the richest US President in history and did not rise from a log cabin like Abraham Lincoln, Trump's claims of wealth have been controversial. During the election campaign, he claimed a net worth of $10 billion, but Forbes magazine, which tracks the world's billionaires, estimates it at $3.1 billion and ranks him the 715th richest person, while Bloomberg says he is worth only $2.8 billion. The Mueller report summary issued last month by Barr was a blow to Democratic hopes that it would implicate Trump in a clandestine election deal with Russia. But Barr's statement that report neither exonerated Trump nor found him guilty of obstruction of justice gives Democrats hope finding something to go against Trump. Not satisfied with the summary, Democrats are hoping for some nuggets in the report that would undercut Barr's summary or provide leads for other inquiries against Trump and his associates or family. Nadler 's committee also authorised him to demand the appearance of five former Trump officials to testify about the obstruction of justice and other allegations against Trump.